Seat Depth: 21 Back Type: Removable 2 Power Outlets + 2-USB available in console. Pwr HR/Lumbar LSF 1 Arm WB Recl. Pwr HR/Lumbar RSF 1 Arm WB Recl. Pwr HR RSF 1 Arm WB Recl. Pwr HR LSF 1 Arm WB Recl. Power LSF 1 Arm WB Recl. Power RSF 1 Arm WB Recl. LSF 1 Arm WB Recl. Pwr HR/Lumbar LSF 1 Arm STD Recl. Pwr HR/Lumbar RSF 1 Arm STD Recl. Pwr HR RSF 1 Arm STD Recl. Pwr HR LSF 1 Arm STD Recl. Pwr LSF 1 Arm STD Recl. Pwr RSF 1 Arm STD Recl. LSF 1 Arm STD Recl. RSF 1 Arm STD Recl. Pwr HR /Lumbar RSF 1 Arm STD Recl. Power HR RSF 1 Arm STD Recl. Seat Depth: 20 Back Type: Attached Walnut legs standard, Espresso legs available as an option. Sofa Chaise Qn. Sleeper w/ Stor. 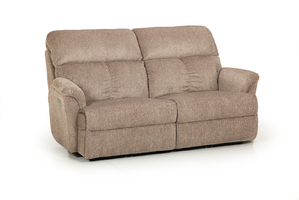 LSF 1 Arm Sofa Chaise w/ Stor. 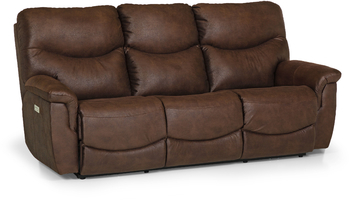 RSF 1 Arm Sofa Chaise w/ Stor.